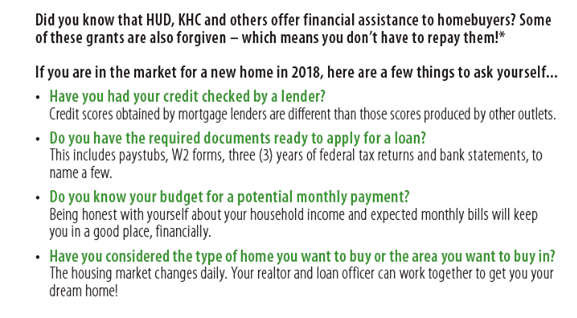 Kentucky Housing Corporation (KHC) is proud to announce a new round of Hardest Hit Fund (HHF) Down payment Assistance Program (DAP), a total of $5 million will be available for new reservations beginning today, Tuesday, January 9, 2018, at 10 am, ET. The HHF DAP will be available on a first-come, first served basis, based on the completion of the first mortgage and HHF DAP Reservations. All program guides have been updated to reflect the availability of the HHF DAP. $10,000, zero-percent interest, forgivable second mortgage loan with a five-year term. Secondary Market Purchase Price and Income Limits apply. Borrower must be a first-time home buyer (no ownership interest in the last three years). Most recent three-year federal tax returns or tax transcripts required. 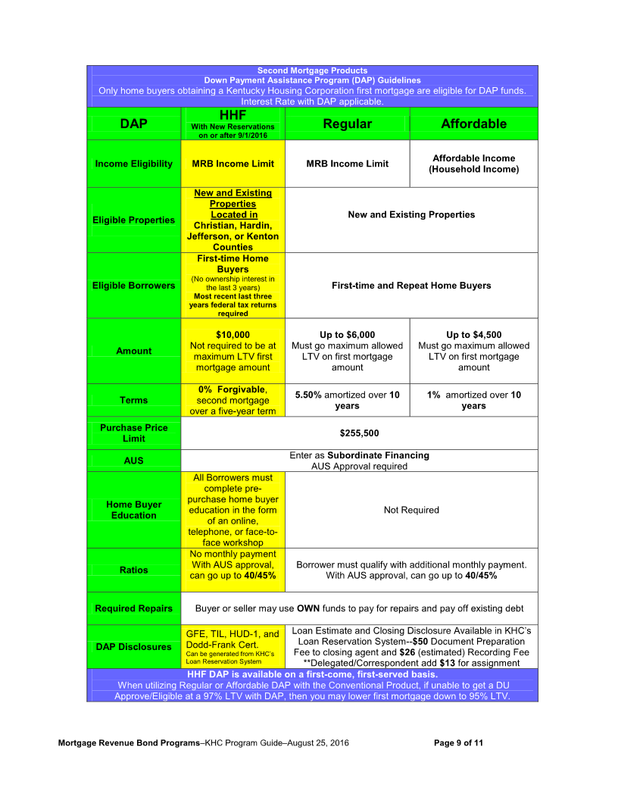 Pre-purchase homebuyer education required for all borrowers. Dodd-Frank Certification must be completed. This form highlights a few of the program requirements, such as occupancy/ownership status and forgiveness period. located in Kentucky. Then follow the steps below….